It takes a certain amount of chutzpah to write a business book based on your expertise. When your confidence is in plentiful supply you’ll find inspiration flowing, but when it’s at a low ebb you might find yourself assailed by doubts. In my experience as a business book ghostwriter and book coach, I find these doubts are caused by unrecognised and unchallenged assumptions. The kind that can derail even the most enthusiastic and determined author before they even begin. In this post you’ll learn how to see the invisible barriers to you starting your book, a bit like a radiologist exposes your hidden parts in an x-ray. Once you know they’re there, you can work out how to deal with them. 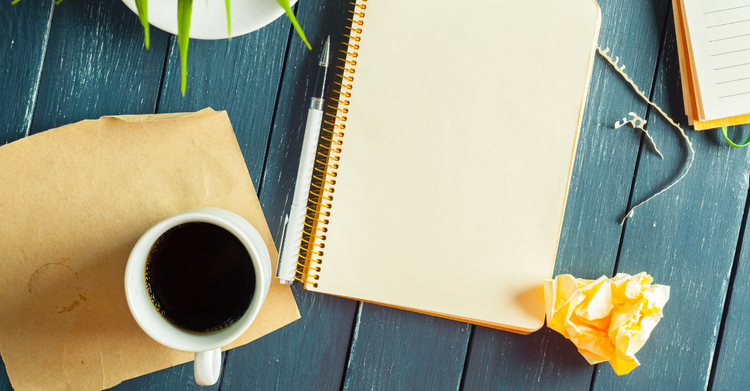 Why haven’t you written a business book already? If that gremlin sounds familiar, you’re not alone. I once asked a number of respected business experts why they’d not yet written a book. They gave me various reasons but they can be grouped into six main ones. The good news, is none of them are real. Warning: my thoughts on this may get you started on your book! Which is really the same as . 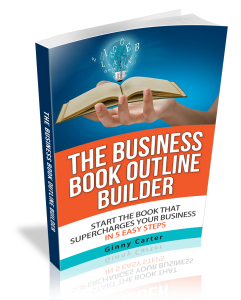 . .
There’s no getting around it, writing a brilliant business book is a sizeable undertaking because it’s supposed to be. That’s why authors have a special status – they know enough about their subject to write a book that has the potential to transform their readers’ businesses and lives. It was never going to be something they could knock out in a couple of days, and that’s fine, because it’s not always the easy achievements that make the biggest difference. As Seth Godin succinctly puts it: ‘The book that will most change your life, is the book you write.’ If you feel strongly about writing one, find a way to make time. How do you prioritise your most important work right now, for instance? Do you plan it in your calendar, incentivise yourself to finish it, or just assume it will get done and magically it happens? There’s no reason why your book should receive any different treatment. Or, hire a ghostwriter to slash your typing time to a fraction of what it would take for you to do the work. I sympathise with this. As a recovering perfectionist I know how easy it is to stop myself before I start because I’m worried I might produce something that contains mistakes or oversights. ‘What if no-one likes it?’ ‘What if I realise I left out something important after it’s finished?’. Of course your book doesn’t have to be perfect. What is? This is a good one. If your business isn’t set up so you can make good use of the clients and opportunities that will come your way as a result of your book, it’s right for you to press pause. But only pause, not stop. If you want to get a scaleable system in place so you can help more people, why not start now? Even better, consider developing it while you write. If you don’t have time to do both at once, see my answer to Reason 2 above. That old chestnut. When we’re faced with large tasks, it’s normal to feel daunted. What should our book be about? Who would want to read it? How to outline it so it makes sense for our readers? We ask ourselves so many questions we run out of steam and give up. There are various ways to approach your book outline and none of them are rocket science; you just need some simple ground rules to get you going. A book coach can help you get started. Or try this post or this one. There’s no getting away from the fact that some people find writing easier and more enjoyable than others, but let’s unpack this. Disliking an activity is not the same as being bad at it, and yet we think if it doesn’t ‘feel right’ that someone on high (who?) has decreed we shouldn’t be doing it. This is a story we’ve made up for ourselves, and it can be extremely handy when we’re looking for an excuse to give up. Another way to look at this is as a simple matter of unfamiliarity. When you were at school you weren’t taught how to write a book, so it’s natural to feel daunted by it. But if you think of it as writing a short story that just happens to get longer, or an essay that stretches into multiple pages, you’ll realise you’ve accomplished something like it many times before. On a more practical note, if you really don’t think you’re any good at writing it’s likely this is a problem a good editor can help with. Let’s consider this for a moment. Do you help people with your work? Do you have happy clients? Have you been working in your field for a while and learned a lot along the way? Set your stopwatch for 10 minutes and scribble down the things you know about your specialist area. And I mean all of them. It’s so easy to take for granted what we do every day, and I’d be amazed if you weren’t able to fill a fair few pages with what you know, believe, have experienced, and learned, during the course of your work. How do you know? Have you asked everyone? Seriously though, this is a good time to do some research on your topic, because it’s true – some people do write books that few people want to read. That’s not because they haven’t got anything worth writing, it’s because there wasn’t a demand for what they had to say in the first place. Also, ask your past and present clients if they would value a book about your field, or survey your email list. It’s worth proving to yourself that your book is in a readable niche, both for your own confidence and because it makes business sense. How many cookery books are on your shelf? If you’re into a hobby, how many do you own on that? Try going onto Amazon and searching for books on photography, for example – there are thousands, many of which have decent sales to their name. In fact, if you see competition in your field, it proves it’s a fertile area because people obviously want to know more about it. As another example, I have 48 books on my Kindle on the topic of writing and that’s not including the ones on my bookshelf. Yet I’m currently writing a book about writing a book because I trust I’ve got something valuable to contribute. When people want to know about a topic they don’t just buy one book on it. Plus, you have your own unique take on your subject, which means your book can never be a copy of someone else’s. Nobody has the final word on any subject. I remember coaching a speaker who was writing her book with me. She’d been an academic in her previous career and was now a well respected consultant to business finance professionals (not an academic in sight). She was concerned her erstwhile co-workers would look down on her newly non-academic writing style and privately criticise her for it; she could almost see their eyebrows arch and lips purse as they read. This was blocking her from getting on with it. When I reminded her she wasn’t writing for them, and that they’d be unlikely to spend their spare time reading a book that had little to do with their interests in any case, she relaxed and her book flowed once more. If you’re feeling self-conscious as you write, turn around. Who’s there? While I’m writing I can find myself accompanied by a crowd of frowning onlookers, but I try not to let them stop me. I love this comment from one of my all-time favourite business and self-help book authors, Robert Cialdini, who said that, prior to writing his first mainstream book Influence, he’d been in the habit of writing with an academic audience ‘on his shoulder’. Once he realised this, he swapped the professor for one of his neighbours who symbolised his new target reader. Can you think of any other reasons – real or imaginary – why you shouldn’t get on with your business book right now? It doesn’t matter if you need help, just seek it out and it will be there. If you’d like some feedback on whether your book idea is right for you and your business, you can apply for one of my free Author Maker Strategy Sessions. Half an hour talking through your concerns can make the difference between staying stuck and typing that first sentence. Now there’s nothing stopping you making a start. Good luck.